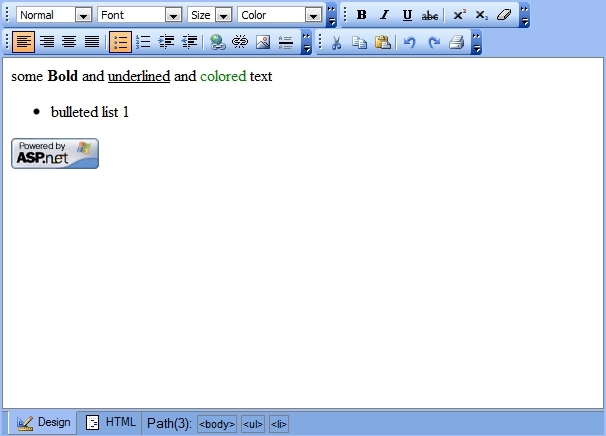 The most-used free ASP.NET WYSIWYG HTML editor featured in open source and commerical projects. Just drop FreeTextbox.dll in your /bin/ folder, change <asp:Textbox /> to <FTB:FreeTextbox />, and you're done. FreeTextBox is no longer being actively developed and both the control and source are free to download. Copyright 2002-2019 Refresh Development, Inc.